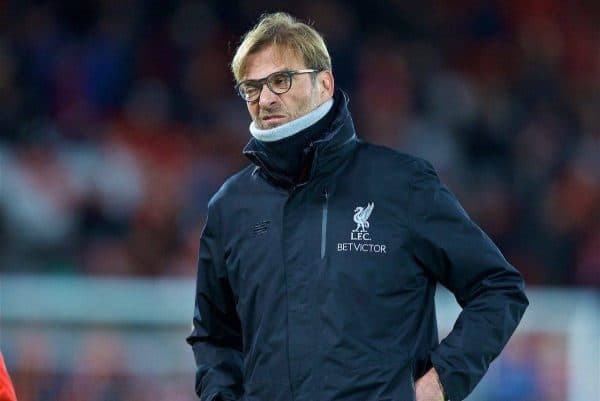 Liverpool take on Everton at Anfield in a 12.30pm kickoff on Saturday, throwing up a familiar problem for Jurgen Klopp during his Reds career. After another frustrating international break that has seen Adam Lallana return from England duty injured, Liverpool are back in action for a showpiece clash. Having sealed a 1-0 win in the first Merseyside derby of the season at Goodison Park in December, the Reds take on their city rivals in a lunchtime kickoff on home turf. This stands to be a major test of Klopp’s side in their quest for a top-four finish, and getting things going early only compounds that. In 15 early kickoffs (up to 1.30pm) so far as Liverpool manager, Klopp has won just five, drawing three and, worryingly, losing seven—a 33 percent win ratio. Adding to this weekend’s concern, the Reds are yet to win an early kickoff at Anfield, drawing once and losing twice in their three outings. Away from home, the German has overseen five wins, two draws and five losses, further underlining an inconsistency when tasked with making the first move. Those victories came against Chelsea, Norwich City, Crystal Palace and Bournemouth last season and Swansea City this term. 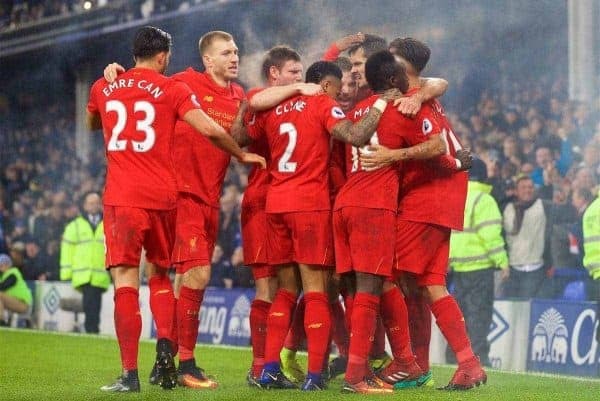 Thirteen of Liverpool’s early kickoffs under Klopp have come in the Premier League, resulting in five wins, two draws and six losses. They are yet to win an early kickoff in either the FA Cup or the League Cup, drawing one and losing one. Furthermore, Liverpool have scored first in just five of those 15 games under Klopp so far. This will, of course, be buoyed by their excellent record against Everton of late, with their last loss in the Merseyside derby coming in 2010, when Roy Hodgson saw his side fall to a 2-0 defeat at Goodison Park. That means the Reds are unbeaten in their last 13 derby clashes, with their last loss to Everton at Anfield coming in 1999, under Gerard Houllier. Klopp has won both of his Merseyside derbies as Liverpool manager so far, seeing his side score five goals and keeping two clean sheets. He will be hoping it is this record that proves most influential on Saturday, and not his shaky form when forced out of bed early.